The Midlands State University Council wishes to announce the appointment by His Excellency, the President of the Republic of Zimbabwe and Chancellor of all State Universities, Cde Dr Emmerson Dambudzo Mnangagwa of Professor Victor Ngonidzashe Muzvidziwa as the University’s substantive Vice-Chancellor. The appointment, which was effected after consultation with the Minister of Higher and Tertiary Education, Science and Technology Development and recommendation by the University Council, is with effect from 16 July 2018. BSc Honours Degree in Sociology (UZ) 1982. He is an extensively published scholar who commands tremendous respect in academia. He has authored many books, monographs, refereed journal articles, book chapters, conference papers and consultancy reports. He has published locally, regionally and internationally. He is an Editorial Board member of several refereed journals such as the Journal of Social Development in Africa and Lwati Journal of Research. He has worked with reputable international organisations such as WHO, UNICEF and USAID. Professor Muzvidziwa possesses extensive administrative experience in university education and management. He joined Midlands State University on 27 November 2013 as a Pro Vice-Chancellor responsible for Research and Academic Affairs. He was then appointed Acting Vice-Chancellor on 1 October 2016, a position he held until his confirmation as the substantive Vice Chancellor. He is a former Pro-Vice-Chancellor of the University of Zimbabwe (UZ), Dean of the Faculty of Social Studies (UZ) and also Dean of the Faculty of Social Science of the University of Swaziland (UNISWA), an Academic Leader for Research and Post Graduate Studies School of Social Sciences, University of KwaZulu-Natal (UKZN), Senior Proctor (UZ), Warden, a two-term Chairman of the Sociology Department UZ, and has served in various committees of Senate and Council at UZ, UNISWA and UKZN. He is an active member of the Zimbabwe Human Factor Chapter. He is the Board of Trustees Chairman for the proposed Southern Africa Methodist University. 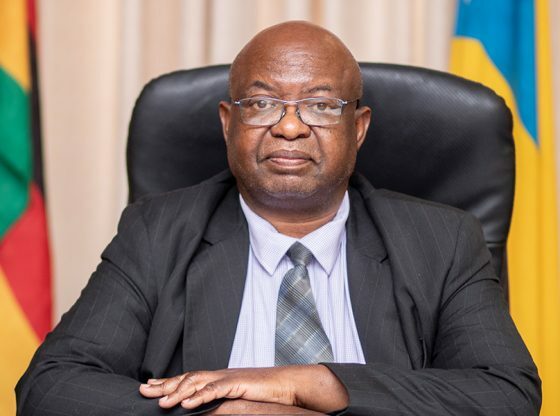 The Midlands State University Council, Senate, Student Representative Council, staff, and students have the pleasure to express warmest congratulations to Professor Muzvidziwa on his new appointment and wish him a successful term of office. We are confident that your appointment is an endorsement of your visionary and ingenious leadership and we wish to pledge our unwavering support and commitment as you lead the premier University of first choice. We look forward to your insightful leadership as we continue in our endeavour to produce innovative and enterprising graduates for the benefit of Zimbabwe and the world at large.